What better way to celebrate than under the stars? 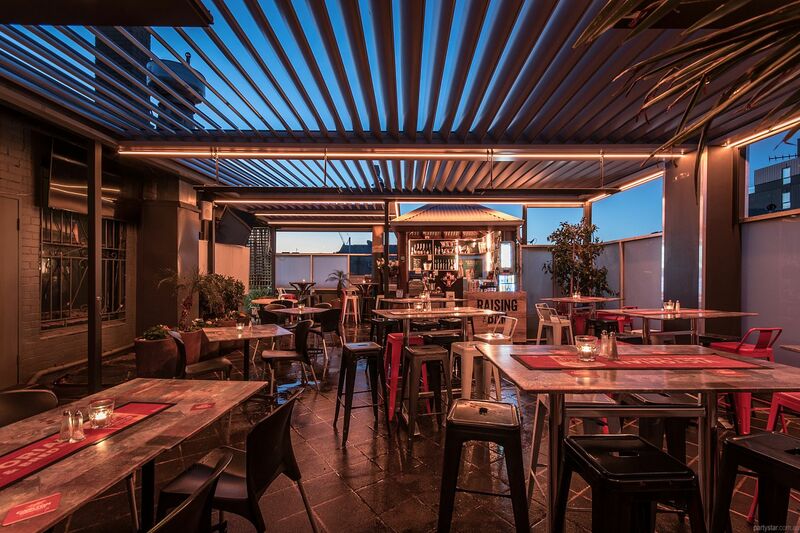 This Rooftop Beer Garden is drenched in moonlight and boasts an automatic retractable roof that can be adjusted according to the changeable Melbourne conditions. It covers about 60% of the space when it's out. That makes it ideal for all seasons. 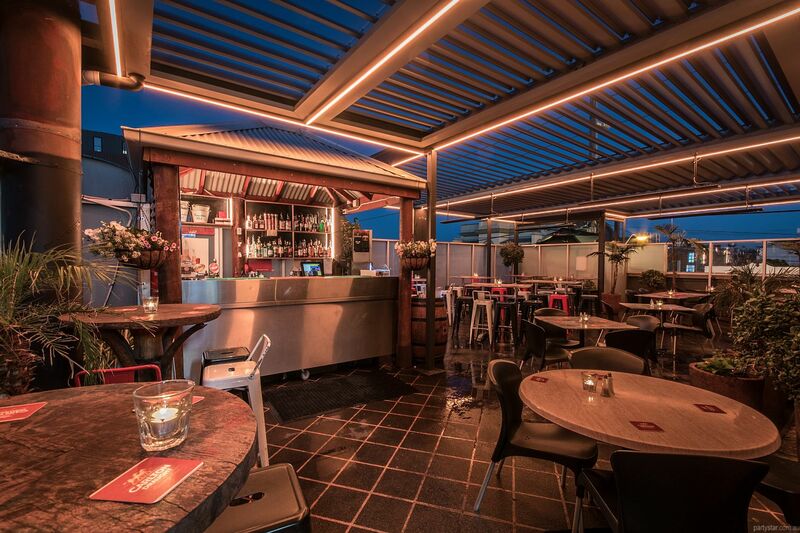 Your own private bar is housed in a delightful cabana hut, and will serve your chosen drinks including tap beer. Meanwhile your party food will be crafted in our venue kitchen and handed around your alfresco soiree. Functions can start at 10am at no additional cost. 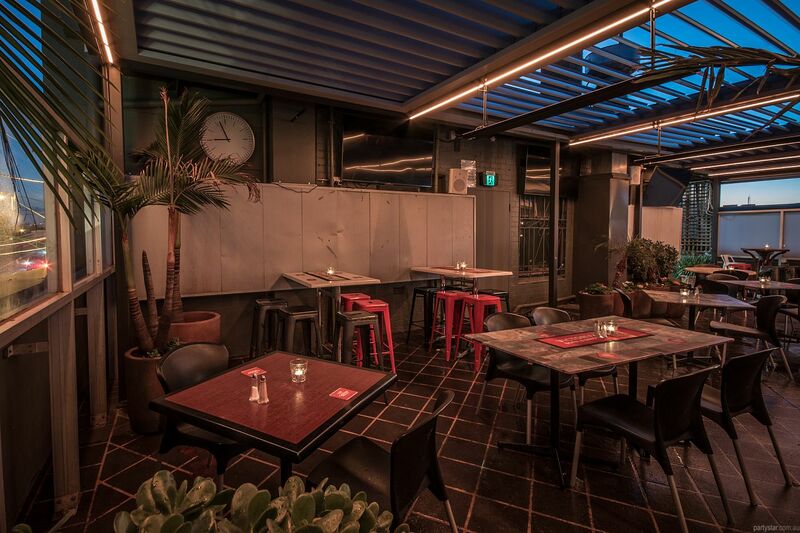 At 12am you can head downstairs and enjoy the vibe in the main bar until 1am. 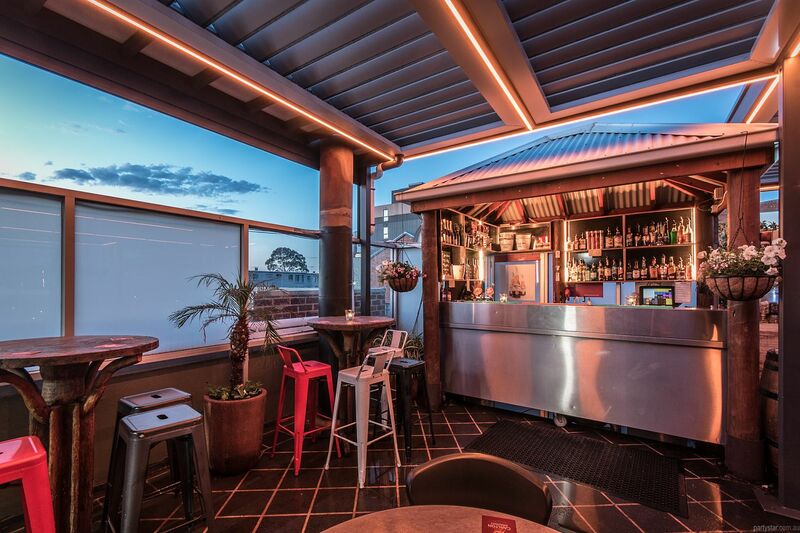 Full TAB facilities, WiFi, SKY racing and Fox Sports available, including exclusive live AFL & NRL games.